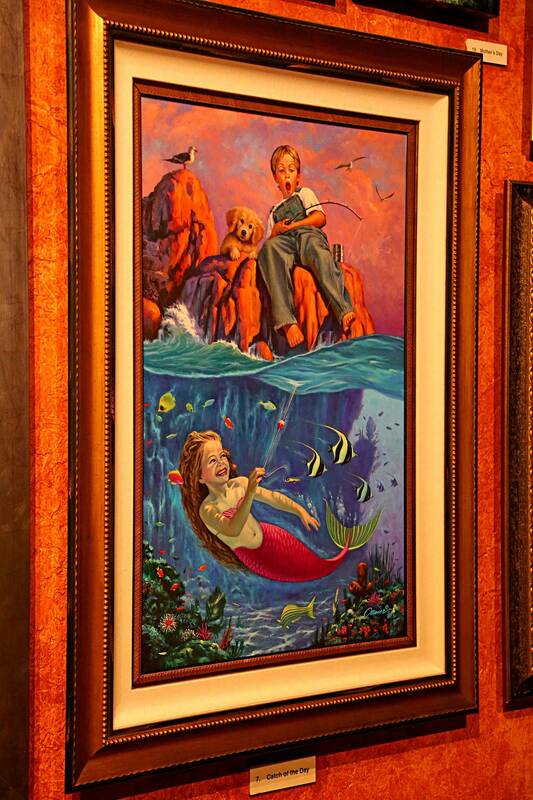 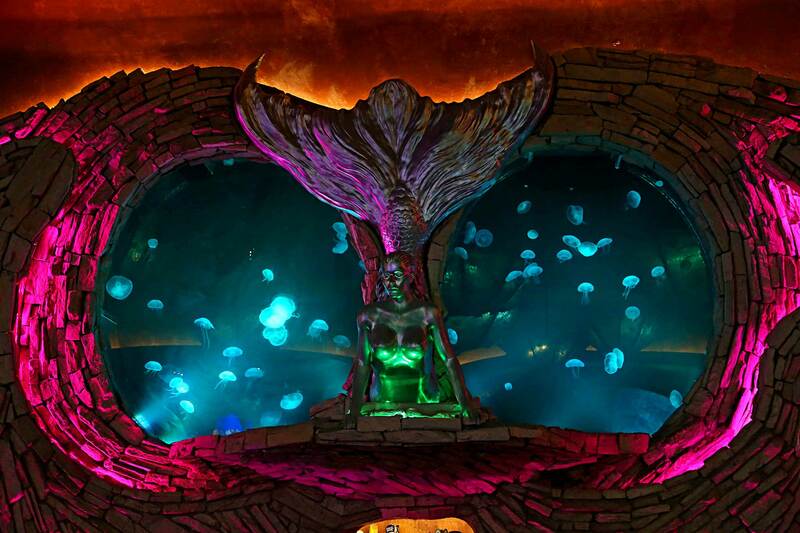 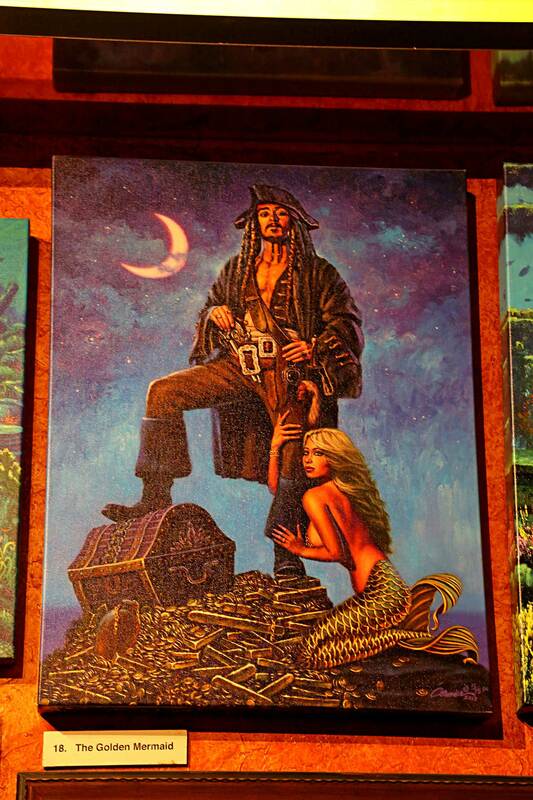 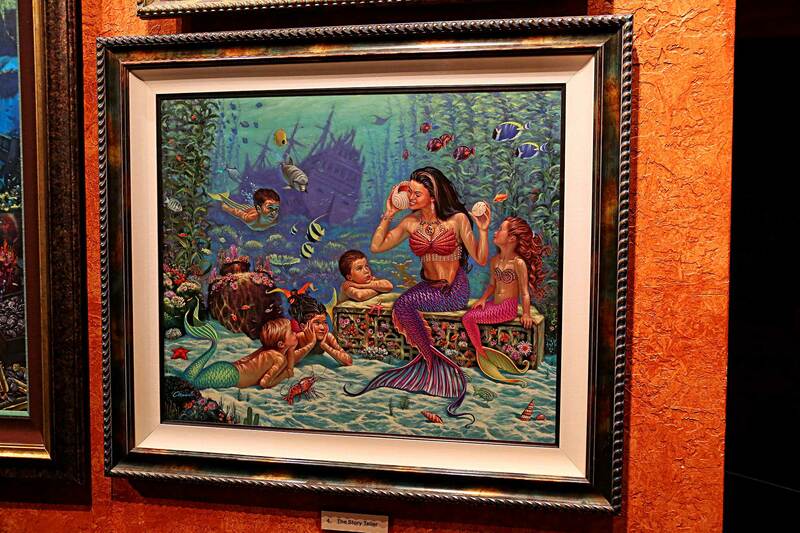 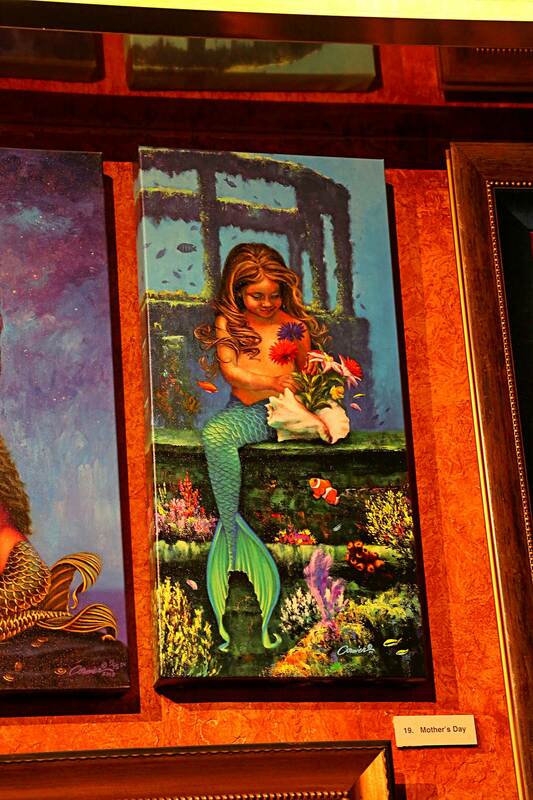 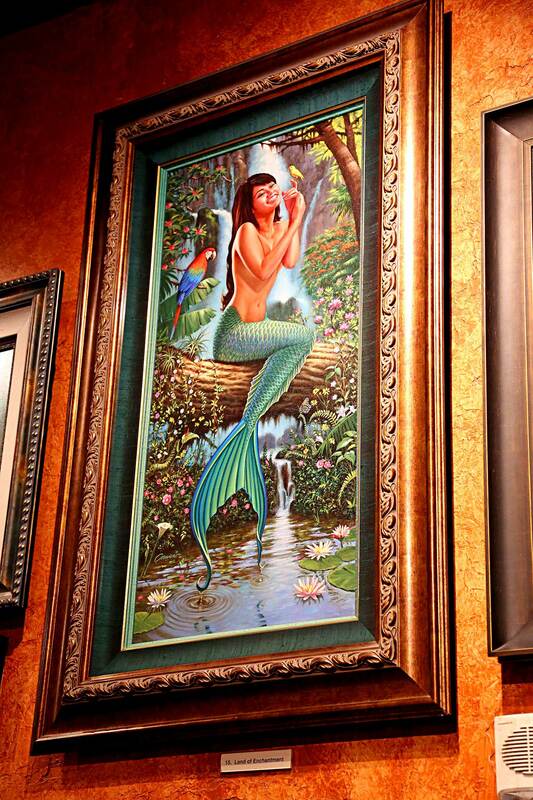 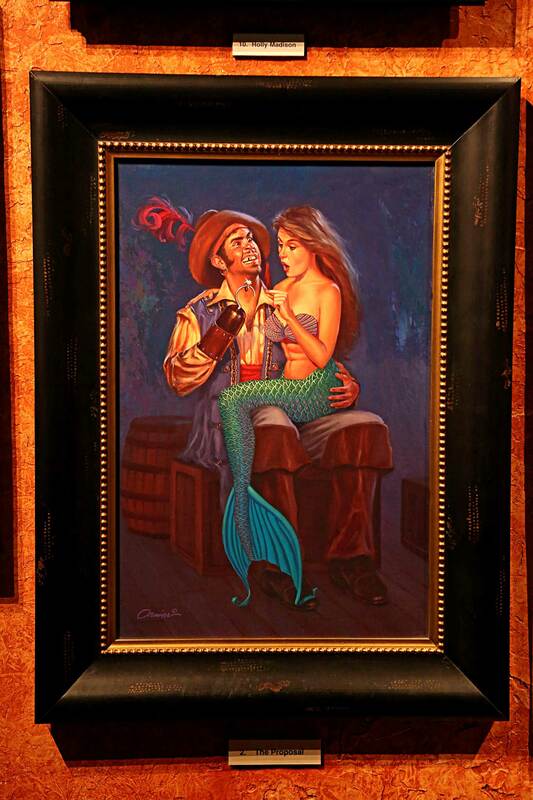 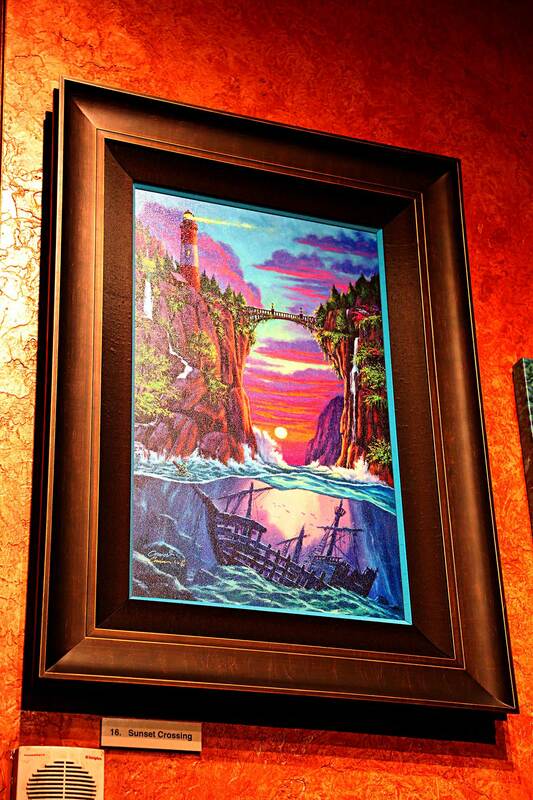 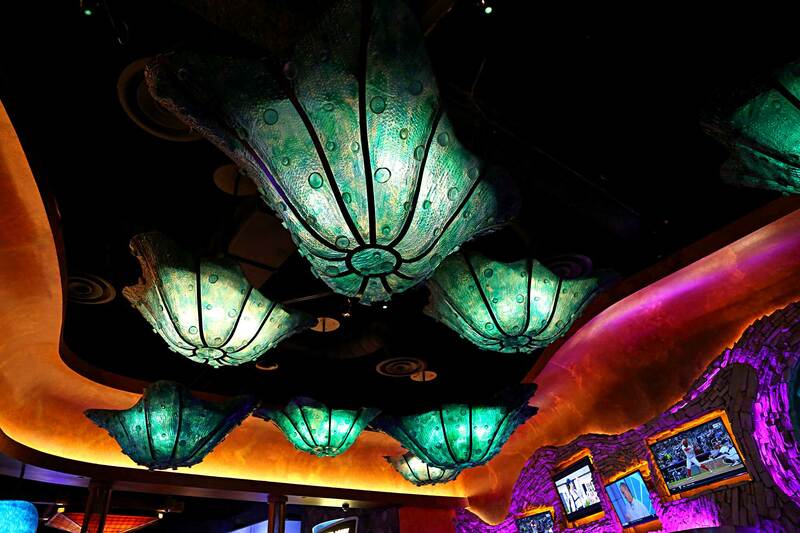 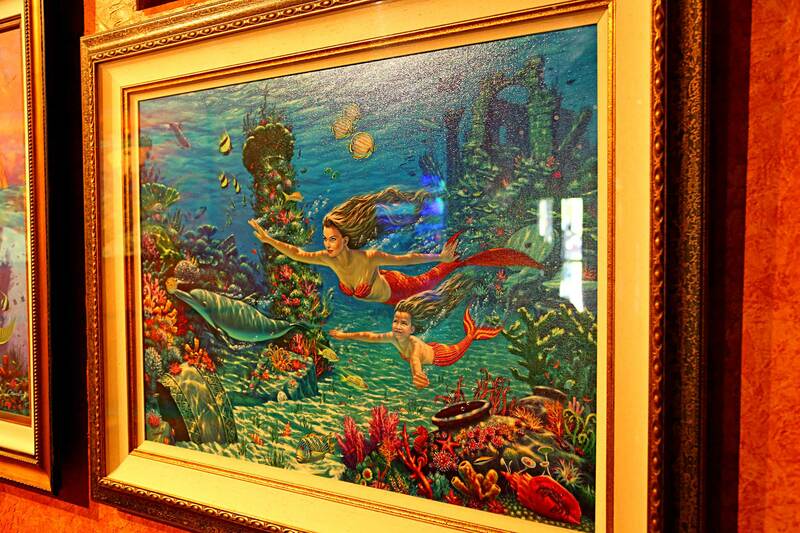 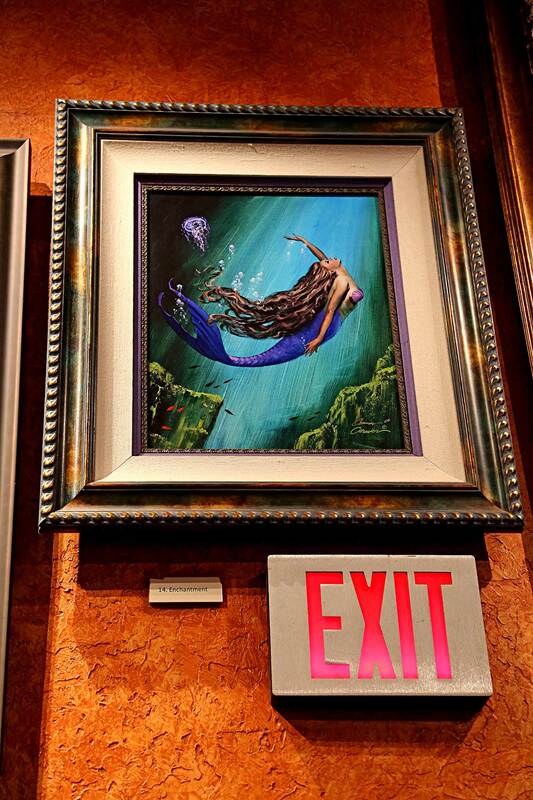 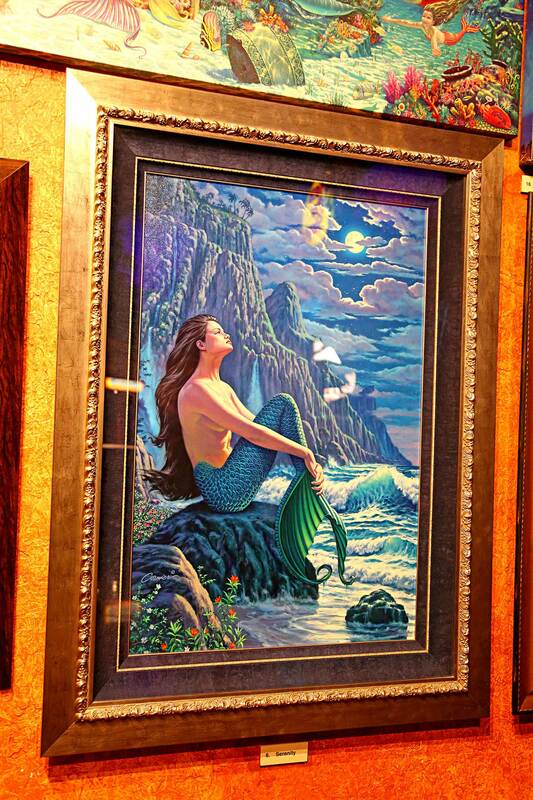 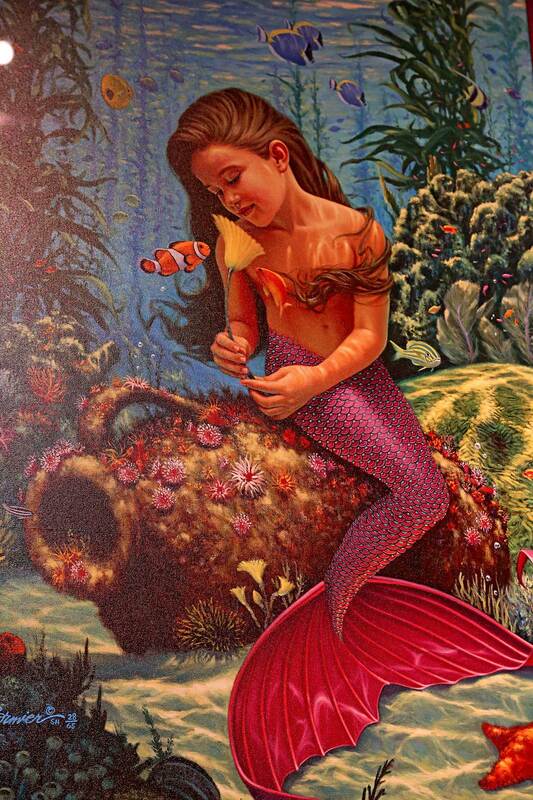 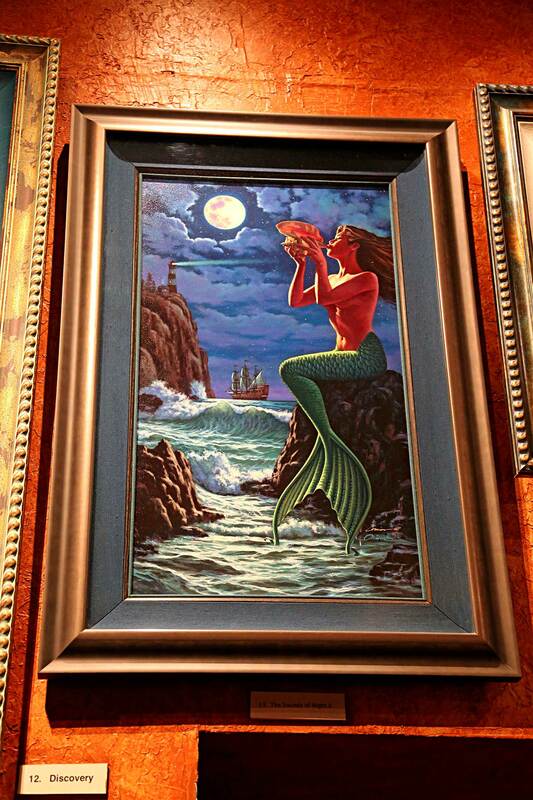 The Mermaid Cove Art Gallery is open 24 hours a day, 7 days a week at the Silverton Casino. 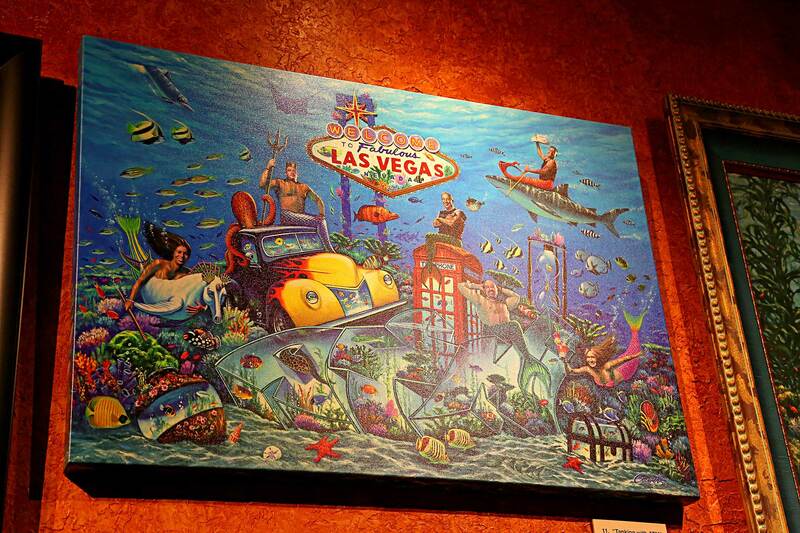 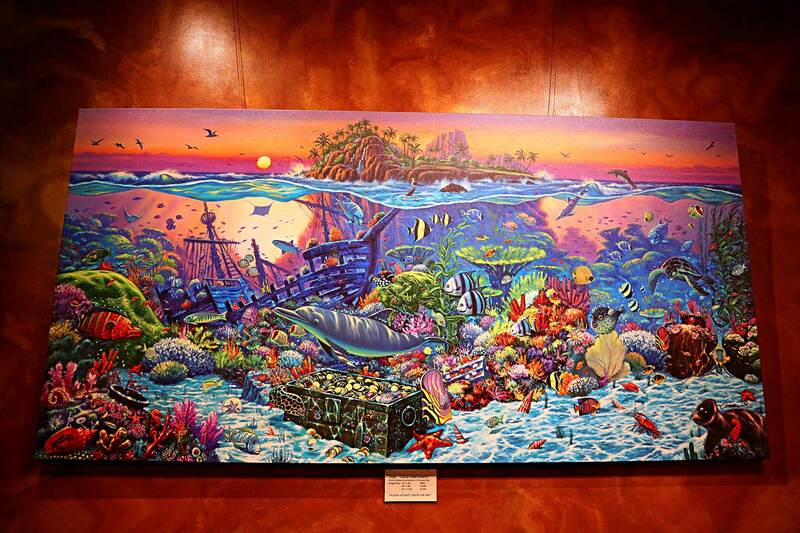 All the artwork is created by Wil Cormier and is on display behind the Silverton’s 120,000-gallon aquarium. 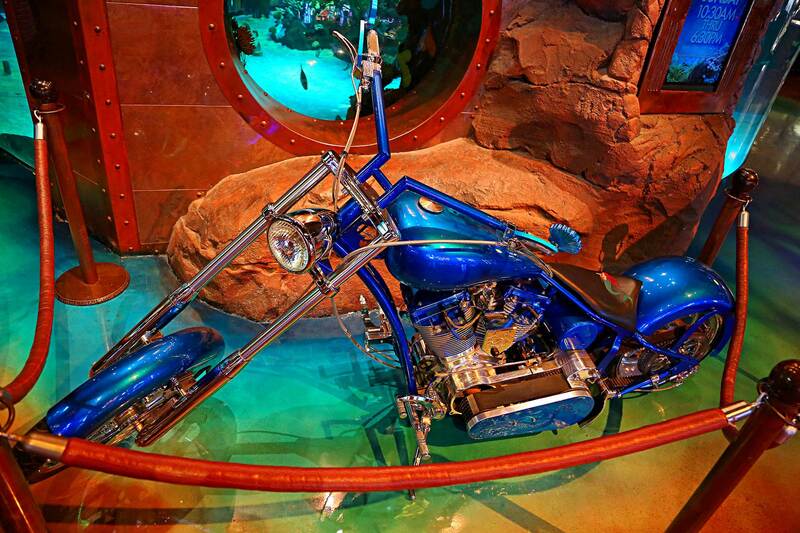 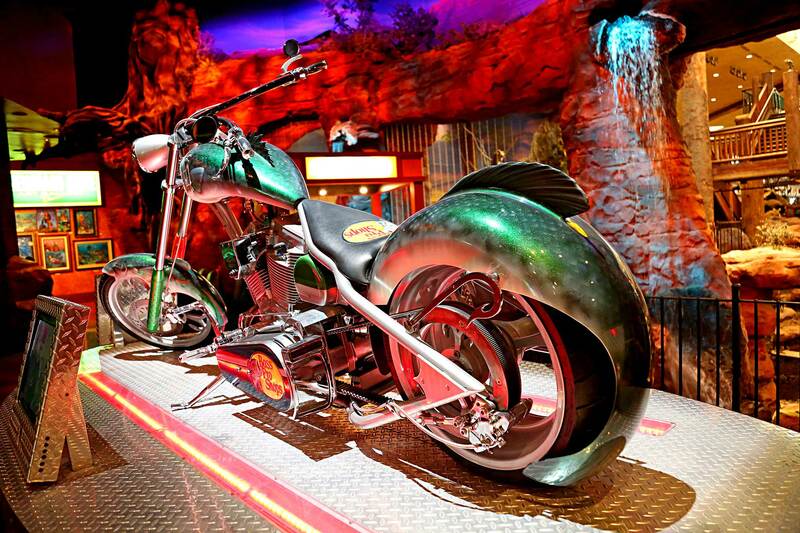 It has been named the “Best Free Attraction in Las Vegas” as it combines art, tropical fish (including stingrays and sharks), custom choppers and a mermaid show.